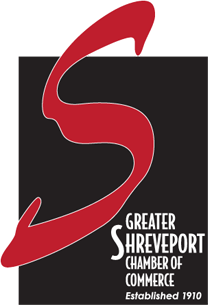 For 12 years and running, our award winning team has created nearly one thousand websites for the Shreveport-Bossier community and around the world. Using the most robust and cost effective technologies on the web, we have the experience and resources to handle any need. 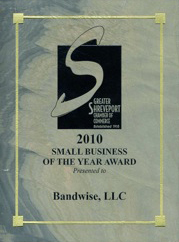 Whether it’s a new website, or a custom application designed to enhance your business operations, Bandwise delivers. At Bandwise, our mission is simple – to provide highly functional web solutions for business. We develop and integrate web solutions that are essential for today’s businesses to communicate and maintain customer expectations. Furthermore, at Bandwise we believe in building cost effective websites and web applications utilizing only experienced, well rooted, locally grown programmers. We believe in buying servers and bandwidth only from competing service providers that do not spend millions lobbying Congress for special favors and interests. We believe in developing and integrating our own products and services. We build websites by hand using little or no tools or tricks other than a text editor and photoshop, and we tell you when something is not right. We believe in talented people writing clever code, under the influence of fresh roasted coffee. We believe in putting our faces on our work and making our moms proud. We believe in blogging and gaming late at night with a martini in one hand and a mouse in the other. We believe in filling the world with pleasing web designs that inspire people to read more. We believe that spam is a plague upon all of humanity. We believe in the right to make mistakes, squash bugs, and then test it all over again. We believe in our customers and their ability to manage their own sites and content, all by themselves. We believe in our work, that it is a good value, that we should make a profit, and that the customer is always right. We also believe that words such as “unlimited”, “cheap”, and “easy” have an honest meaning beyond marketing purposes.